This spectacular hat will be perfect addition to your winter outfit. Bobble Stitch and Half Double Crochet two stitches together makes a texture diversified and gives it an intricate look, but don’t worry if you are not familiar with these stitches. They are well explained in the pattern. THe Xoxo Slouch Hat is finished with the pom-pom at the top, which gives to it even more fancy look. Link to a free pattern is below. 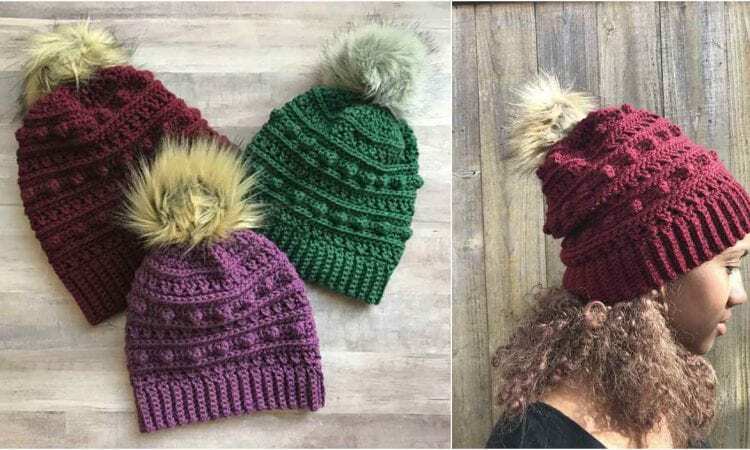 Crochet Hats In Several Colors. Free Pattern and Video Tutorial. Winter Crochet Cowl And Cap. I can not find the patter for the xo hat anywhere on this page. Hi Lisa, a link to a pattern is at the end of the post under the name of the pattern. Please look just above a newsletter sign-up.